Oscar Wilde once said that “experience is one thing you can’t get for nothing” and we’re in full agreement; it’s taken us over three decades to acquire our experience. We’re a friendly, family-run business with over 30 years’ experience within the soft flooring trade and in the last ten years have become increasingly focussed on performing carpet repairs for both domestic and commercial customers. Every carpet is different which means every job is different – that’s what encourages us to continuously improve, knowing that there’s always one particular carpet repair issue around the corner which we’ve not yet encountered. We’re proud to say we’ve never had a problem prescribing a solution to anyone’s carpet repair problem and we’re intent on maintaining this high level of service. 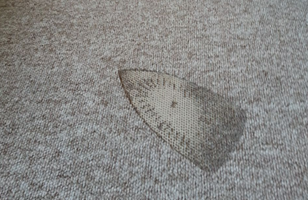 We cover repairs for a wide range of carpets (in terms of both style and quality) and our team can cover all types of damage including iron burns, pet damage, spillages and even car carpet repairs. In the vast majority of cases your insurance policy won’t cover you for minor damages which leads many people to believe their only option is to fork out for a brand new one. However, our high-quality professional carpet repair service is a brilliant alternative as it won’t cost you an arm and a leg and will leave your carpet looking as good as new. The fact that we’re based in The Midlands means we’re perfectly positioned to offer our services on a virtually nationwide basis. Locally we service Tamworth, Sutton Coldfield, Lichfield and Birmingham, but as we’re smack in the middle of the UK we can travel to pretty much anywhere in two or three hours. As we’re all aware, global warming and recycling issues have increasingly become an issue for consideration and our carpet repair service is an extremely carbon-friendly means of avoiding needless trips to the landfill; instead of replacing your carpet think about repairing it! Our passion and dedication to what it is that we do means that we treat every single job equally. It doesn’t matter how big or small the job is our aim is always the same: leave the carpet looking as good as it possibly can. Enabling our customer’s satisfaction is our source of satisfaction! Our slogan rhymes which makes it easier to remember! You can follow us on Twitter to be kept up to date or just to show your support for our service and we have a Facebook page too – come ‘like’ us! Some of the causes of carpet damage we can repair include cigarette burns, iron burns, pet damage, vacuum burns and bleach spots. 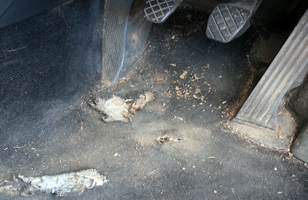 We’re also able to fix carpet holes, re-seam joins, dents, snags, rips and carpet edges. 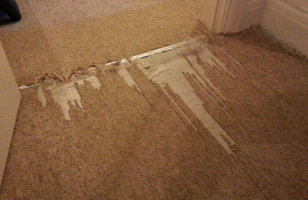 If you have a problem with your carpet then contact us before replacing it. In most cases we’ll be able to provide an effective and affordable fix.